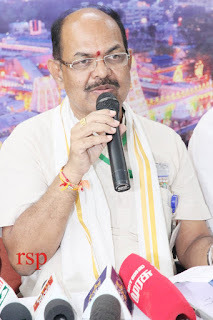 Addressing media persons in Media Centre in Tirumala on Sunday, he said, specialised artistes from Gujrat, Manipur, Karnataka, Telengana, Kerala, will perform unique dance forms before various vahana sevas on September 16, 17 and 18. He said, the never seen before art forms includes, dummy horse, Devarattam, Oyilattam, Chenda Melam etc. to glare up the annual festival.